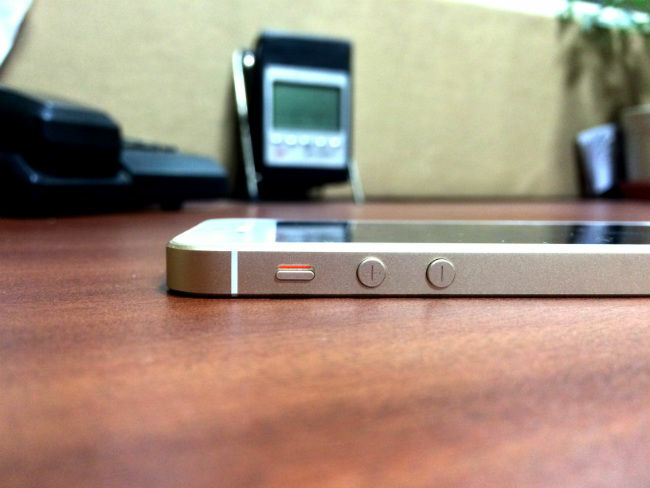 It had been a while since rumours of a 4-inch iPhone started circulating. At the launch of the iPhone 6s, many had expected Apple to simultaneously present a smaller, 4-inch iPhone as a less expensive, smaller screen alternative to the iPhone 6 and 6S, and their respective ‘Plus’ variants. Six months after the iPhone 6s, the iPhone SE became official. And a surprisingly large number of people rejoiced, including me. I have loyally stood by my iPhone 5s, now over two-and-half years old, and it serves me nobly. On an overall, everyday basis, the iPhone 5s is still a fantastic driver. Apps barely lag, I can even afford to keep my push mail notifications to every 15 minutes and not reset network settings, and it still works fine enough. Lags, however, have started showing up. The A7 processor is still reasonably fast, but is just not fast enough. For instance, apps take that split second longer to load, there’s always the one second of blank screen when I switch between different apps, and games reflect this even more. Unfortunately, even after having used a number of large display devices, I’m only too used to the 4-inch form factor. The iPhone SE, on that note, was all that old iPhone users could have asked for. Powered by the latest generation hardware, the iPhone SE is the iPhone 6s on the inside, with the exact design and footprint of the iPhone 5s. Why would I not love it? I’m not saying I don’t, but there were too many questions that prevents from calling it instantly recommendable. Here’s why. Let’s begin with the most debatable point here - the 4-inch display. From a standalone point of view, the 4-inch Retina display is as good as ever, packing in ample pixels to deliver rich, sharp and immaculate details on the screen. It is responsive and fast, and looks significantly warmer than the display of the iPhone 5s. This makes it less harsh to look at, and Night Shift mode makes it even better. Quality-wise, you’ll be hard-pushed to find a better one - brilliant viewing angles, ample brightness, good visibility under direct sunlight, and nearly flawless touch response, too. But, this also raised the biggest question about the iPhone SE. Whenever I have switched smartphones, they’ve always been a significant upgrade in every aspect of the device. The 4-inch display is undoubtedly good, but it is not a whole lot better. Additionally, the screen size now does feel hindered. You need to scroll more when you’re reading, squint a bit to tap on the right tabs while within a game, and even when watching videos, it feels a tad bit too small, especially after residing in a world of smartphones where 5-inch displays have become a norm. "The 4-inch panel remains excellent, but the size is simply not enough in today's nature of content consumption"
Does it make sense? Yes, and no. Apple has repeatedly stated that the iPhone SE is for those who really want a 4-inch smartphone, and for them, there will possibly never be another device that brings such high processing power within such small a form factor. That, though, will be a very small section of the population. The 4.7-inch display on the iPhone 6s feels just the right size, and it excels in terms of ergonomics, too. For first-time iPhone users, a large section of them will probably be looking to migrate from the ocean of Android-powered devices, where spotting a screen smaller than 5 inches is nearly impossible. The smallest that comes to my mind is the Sony Xperia Z5 Compact with a 4.6-inch display panel, and it is highly improbable for users of the Z5 Compact to look to switch to the iPhone SE. For existing users, it is from the still-sizeable section of iPhone 5/5c/5s users, and some iPhone 4s users. From an iPhone 4s, or even from an iPhone 5/5c, this is certainly a respectable upgrade in every possible aspect. As for iPhone 5s users, I’m not entirely convinced, with the iPhone 6s in hand. The cost plays a major role, and we’ll discuss this later. But from the point of view of sheer usage, the natural step for most users of the 4-inch device is to upgrade to a 4.7-inch one. Yes, the 4-inch display is still excellent in terms of quality, but the size definitely feels restricted. The iPhone SE is built on the same chassis as the iPhone 5s was, which according to me was the best iPhone design till date. It is 7.6mm in thickness, and weighs 113 grams. It has a familiar design and is built well enough, but somehow feels slightly less sturdy than the iPhone 5s. The tried-and-tested rectangular design still looks good, and the iPhone SE retains the premium feel usually related to iPhones. Ergonomically, this is by far one of the best devices around. One-handed typing is a breeze here, something that we do not mention too often in our reviews. The sharp edges do cut into palms on long-term usage, but the pleasure of owning a smartphone that feels inconspicuous in pockets is a rare luxury nowadays. For anyone who is a fan of compact devices, the iPhone SE is as good as it can get. The only element that Apple has changed here is the colour of the logo on the rear. 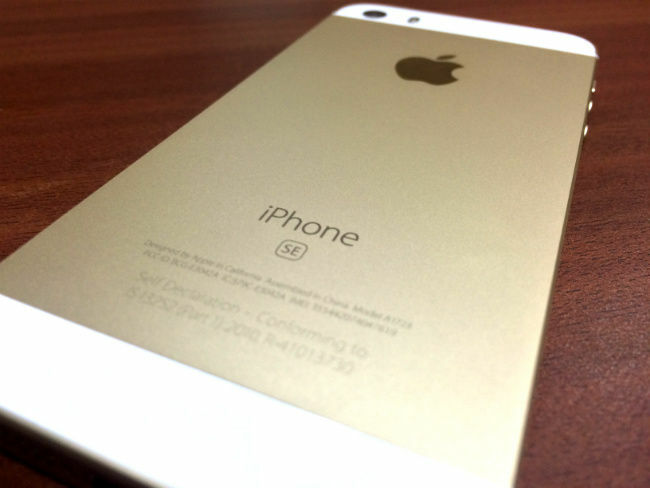 The iPhone 5s had a stainless steel logo across all colour variants, while the iPhone SE’s logo is of the colour of its make. It is a minor difference, but does add slightly to the flow of the phone’s design. Apple has fit the iPhone SE with present generation hardware — the A9 processor with M9 motion co-processor and 2GB of RAM. We ran benchmarks on the iPhone SE in tandem with the iPhone 5s and iPhone 6s, along with the latest generation of Android-powered flagships, the Samsung Galaxy S7 Edge and Xiaomi Mi 5. The iPhone SE leads the pack in terms of frames rendered in the graphic tests, and even heads in terms of single-core processing power. In terms of multi-core processing, however, the Galaxy S7 Edge and Xiaomi Mi 5 lead, powered by the octa-core Exynos 8890 and quad-core Snapdragon 820 respectively. In real life, the iPhone SE performs like a flagship smartphone. It is a delight in terms of everyday usage - most apps open without any delay, Spotlight search is smooth as always, always-on Hey Siri does add to the functionality, and gaming is quite enjoyable. Graphics rendered look crisp and rich, and thanks to the smaller display, the hexa-core PowerVR GT7600 GPU has lesser screen area to provide for, hence leading to higher frame rates that aid smoother gameplay. The presence of 2GB RAM reflects here, as the iPhone SE is completely free from the split-second delays that were present when unlocking the device, switching between apps and other regular actions. The iPhone SE is an able performer, and can handle multiple tasks with ease. For more detailed analysis, check the performance comparison of the iPhone SE. Coming to the operating system, iOS 9.3.1 is a fast, stable environment that faces slight hints of stutter on the iPhone 5s, but here, it is incredibly swift. While Touch ID does miss a tap every 10th time, it is not massively disrupting an aspect. It is, however, important, seeing the efficiency of Android’s integrated Imprint fingerprint sensor. To reiterate, the iPhone SE happens to be one of the best devices in terms of performance, running at par with the likes of iPhone 6s and Samsung Galaxy S7 Edge, and even beating them in a few areas. It is here that the iPhone SE does not remain one of the best. In terms of everyday photographs, the iPhone SE is decent, rendering true-to-source colours without any hint of oversaturation or accentuated contrasts. Focussing is fast, and shutter response is smooth. Unfortunately, while the photographs are not disappointing, the iPhone SE does not seem to be in the same league as flagships like the Samsung Galaxy S7 Edge, or even the iPhone 6s Plus. 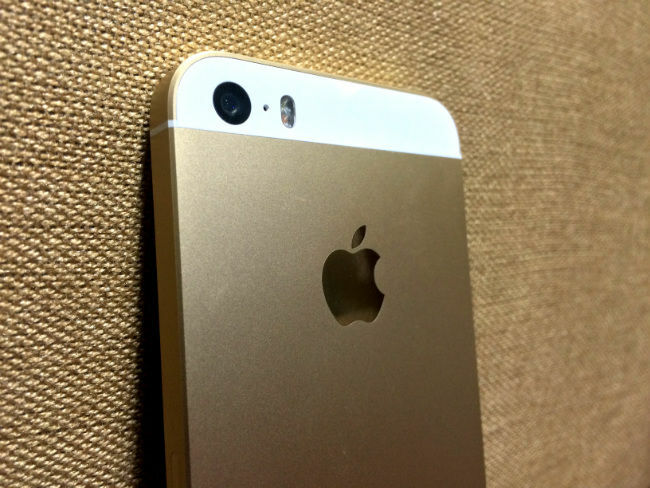 It reportedly uses the same image sensor as the iPhone 6s, although it misses out optical image stabilisation. In terms of image quality, while it will suffice in terms of everyday usage and rapid shooting, the iPhone SE is not as good as the two devices mentioned above. It has decent levels of detail, sharpness and clarity, but lacks in low light capability as images tend to become noisy. While the front camera may have suffered significantly because of this, the addition of Retina Flash solves the issue of taking selfies in the dark. The iPhone SE also gets Live Photos, if you would want them. Check out the image gallery below for camera samples. While Apple has advertised improved battery life on the iPhone SE than other devices, it is still nowhere close to the best in class. Upon average usage, while I end up charging the iPhone 5s more than twice, the brand new iPhone SE easily saw me through the day, with about 18% battery left on Low Power Mode. This would deplete, if you were to game on it for about half an hour, and extensively stream music on the go. On our Geekbench battery test, the iPhone SE lasted for about four and half hours, which is strikingly low. It surely fares better on everyday usage, but brace yourself for dropping battery stamina upon extended usage, and the constant need of a power bank. Flagship phones like the S7 Edge and Xiaomi Mi 5 break the 8 hours barrier on the same test. It sure is a flagship, and a powerful one at that, but the screen is what creates the dilemma. While there may still be a considerable section of 4-inch device lovers, the numbers are steadily decreasing, and with most of our daily usage shifting to videos, a 4-inch device does feel rather restricted. It is a bold, bright flagship, but the price creates an issue here. At Rs. 39,000, the iPhone SE is barely less expensive than the iPhone 6s. If you have the option of paying about Rs. 3,000 more and getting a bigger display with 3D Touch along with a decently ergonomic build, why would you go for a smaller display? The iPhone SE may be the perfect upgrade for users of the iPhone 4s, and for ones who really do not want a larger smartphone. It may also be the last flagship-class smartphone with a display as small as 4 inches. If you qualify under any of the two criteria above, the iPhone SE is your best bet. For everyone else, the iPhone 6s is the smartphone to own. Like all iPhones, the iPhone SE is great, but it's about time Apple recognised its competition.